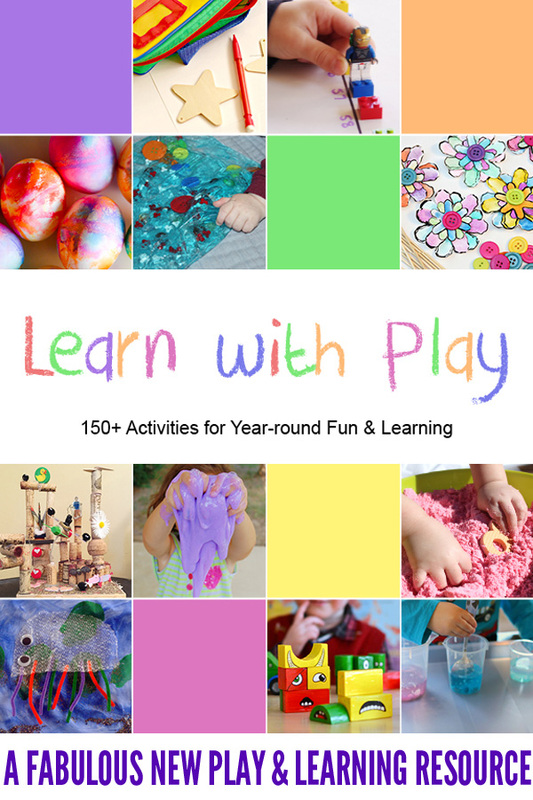 Today I am so excited to share a new book collaboration I have been involved in – the brand new Learn With Play: 150+ Activities for Year Round Fun & Learning is now available as both a book (yes, a real 200 page paper and ink book!) and eBook. 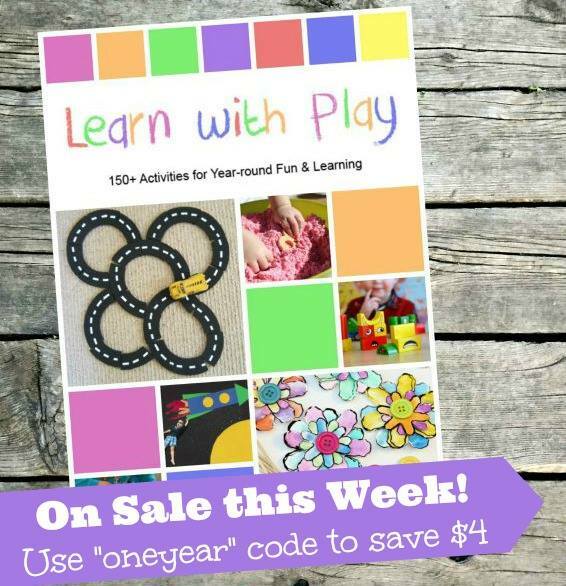 Co-authored by more than 90 play and learning bloggers from all around the world (including moi! 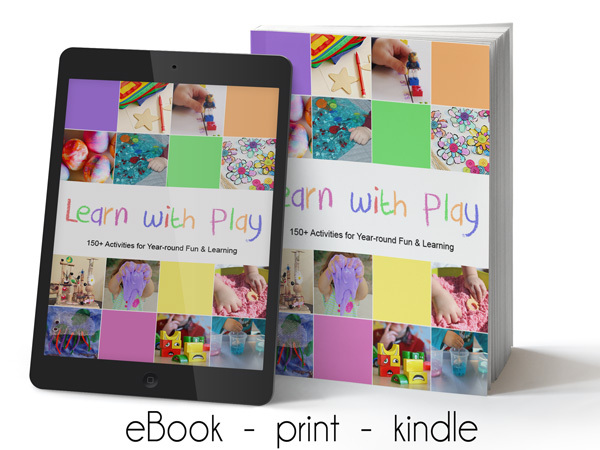 ), Learn With Play includes over 150 activities for babies, toddlers, preschoolers and kindergarten aged children. 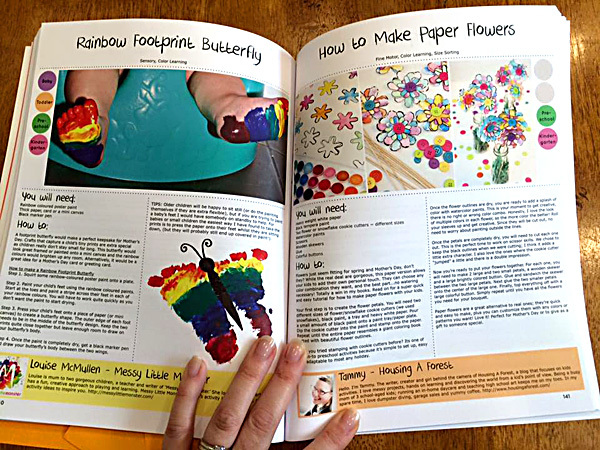 There are oodles of fun play ideas, art and sensory experiences, busy bags, early learning inspiration encompassing science, math, literacy and more, life skills activities, printables, holiday and seasonal themed fun, even tips for organising children’s spaces! 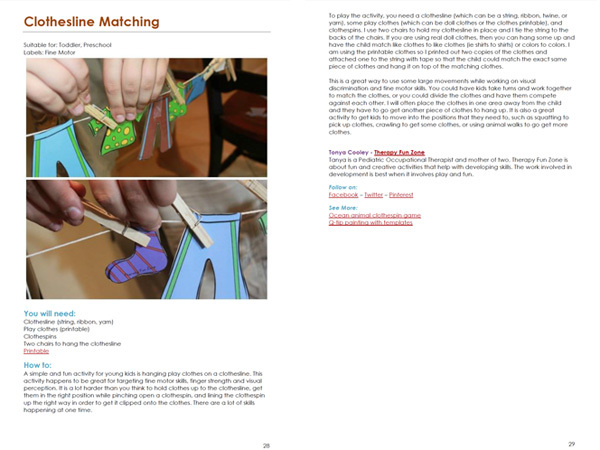 If you are looking for fun play ideas with simple, everyday materials, that you can have available to play at a moment’s notice, then this is the book for you! Next post: 9 Ways To Find More Time For The Things You WANT To Do…With Kids in Tow! What an awesome resource. Pinning so I can find it again. Wow, so many ideas all in the one place! Love that so much. Great price too. 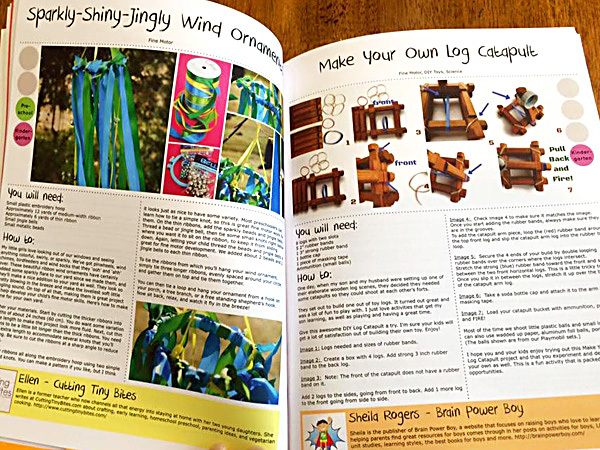 Looks like so many great ideas and so bright and colourful...love it!